Even in its eye-catching ‘Performance Blue’ finish, the Hyundai i30 N is a relatively subtle-looking hot hatch. But what if you want more brashness? 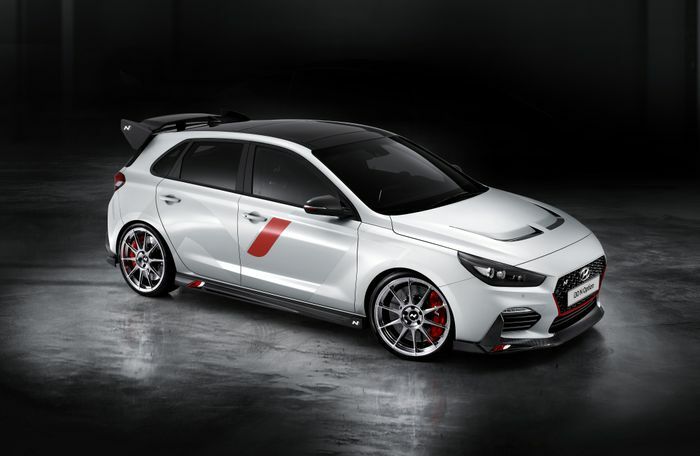 What if you wish Hyundai had taken a leaf out of the Honda Civic Type R’s book when it came to styling the car? That being the case, you may want to check out what the Korean company has cooked up for the Paris Motor Show. 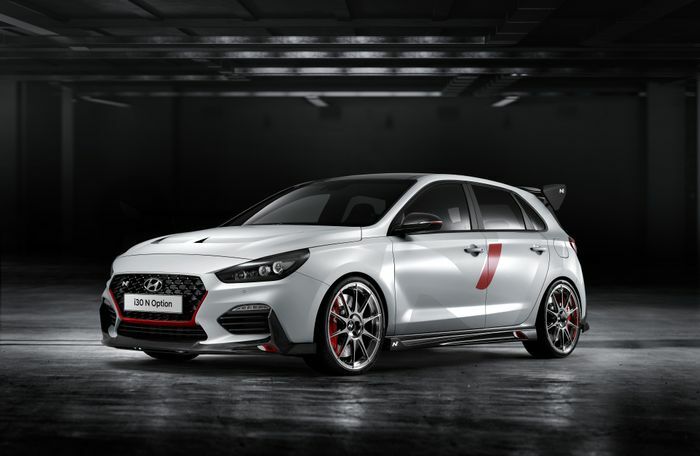 It’s called the i30 N Option, and it looks very much like it wants to give the aforementioned Honda a swift right-hook. 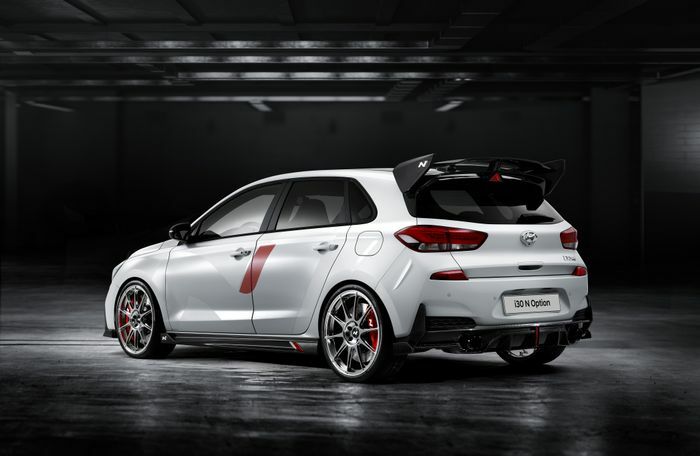 Hyundai has added 25 “individualisation options” to the car, with the most obvious additions on the outside being a huge carbonfibre rear wing, a vented carbonfibre bonnet and a massive Hyundai N logo decal slapped on the side. There’s a new grille at the front, along with a splitter large enough to give you recurring nightmares about speed bumps, and a new quad exhaust at the back. Finishing off the exterior is a set of 20-inch lightweight alloy wheels shod in Pirelli Trofeo R semi-slick tyres. Moving inside, there’s a liberal festooning of carbonfibre accents and reams of Alcantara. There are new bucket seats, sportier pedals and a gear knob which is supposed to look more “dynamic”. The idea behind the car is to give a “vision of possible future N accessories,” Hyundai says. 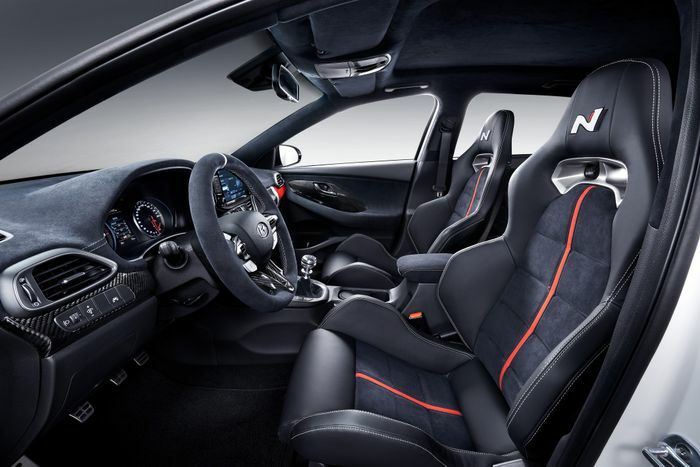 “With the new N Option to be launched in the near future, the company aims to provide a large amount of customisation features to driving enthusiasts who want to make their car more unique,” it added. 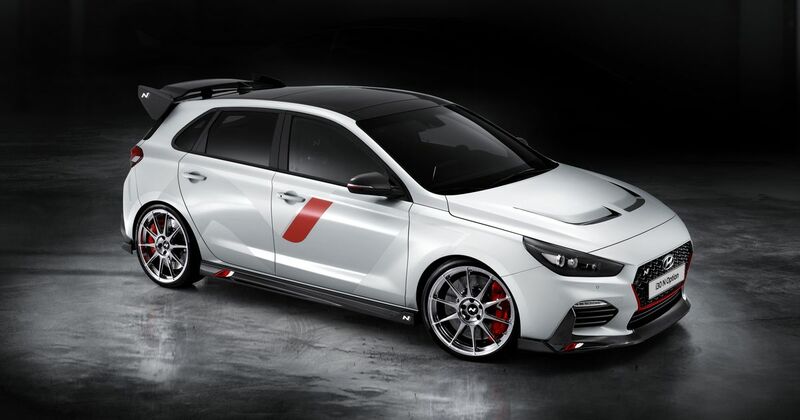 Assuming all 25 of these parts eventually become available, which would you have for your ideal i30 N? Let us know in the comments.